a name board and take you to your accommodation. I also take care of all luggage. and personal requirements. I can also recommend many different tours, including cultural, surf, beach, temple, and mountain. an east coast tour, north coast tour and south coast tour. Bali car services also explore East Java to improved more service for our costumer to visit East Java. For shopping, dinner, relaxing at the beach, looking for waves, visiting Balinese temples or business trip, I am happy to drive you. I can guide you through the backstreet of Bali for furniture, clothes, antiques, decorator, fabric, jewelry and Bali has full of the shopping list. There are many international restaurants in Bali and they offer the finest dining experiences. I have hosted many visitors so am very familiar with the best places to shop, dine, and visit. I do not accept any commissions for shops and restaurants. I only work on behalf of my client. . I would be very happy to serve while you enjoy your holiday in Bali and I would be more happy if we could be like a family. My point is to serve you while enjoying holiday in Bali makes you happy and to have unforgettable time in Bali. I serve you better, and I drive safe and careful. 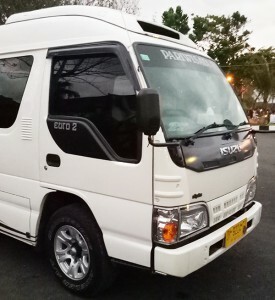 Bali Car Services provide bigger cars Isuzu ELF capacity of 10 – 15 and Toyota Hiace capacity of 16 people, comfortable car for passenger + your luggage. 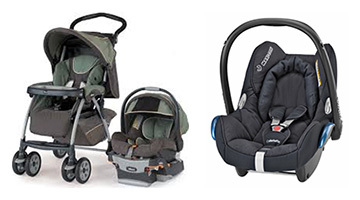 stroller for you to use during you visit bali with your family.